This post is recently updated on 08 November 2018. The toughest part of selling online is to find product trends. This requires loads of research and accurate judgment of how a particular product will perform, how customers will react to the overall market and up-coming marketing trends. It is practically difficult to come up with a consolidated guideline to find trending products. By catching the wave, you will be able to make more sales of the product. The biggest challenge online sellers face today is, every niche has a different trend. A seller should be knowing what people want to buy. Running out on trending products could badly hamper your sales. Many times, by the time you find out trends in the products; the fad is over and the products are no longer in demand. Moreover, trends vary based on a geographical region. Well, simply put a long story short, you need to do tons of research about trending products before you enter the market and even after you enter the market. To solve all of these issues, it is extremely important to focus and find trending products to sell online. From a customer’s perspective, the ability to shop by trends allows them to easily browse products. This helps in keeping the customers hooked and keep shopping. Below we have consolidated a detailed guideline on how to find trending products to sell online. In case you are not sure about the popularity of a product, then you can check it out on Google Trends. It is by far the most popular tool to find out trends. Google trends clearly show the viability, trendiness, and popularity of the product specific to regions. This is a free tool and is extremely simple to use. It provides a comprehensive graph, showing pictorially how the product is performing. For instance, you want to know whether or not a particular product or niche would work well for you; then there is a method to do it. Just type in the search keyword in the search box and notice if the trend is going upwards (It provides you data from as long as 2004). A cynical pattern means that the product is seasonal; the dips and peaks at the same time every year proves the point. However, if the product is peaking upwards, it is worth selling online. Data from the past one year won’t convey a clear picture. For this, you should look at data from 5 year. Select a niche. Use Google searches for an overview. Build a mind map. This is to figure out the target niches for your product. Go to google.com In the search box, enter your product idea. Note down the suggestions for the niche. Alternatively, you can use another online tool “Suggester” to scrape the suggestions. In it, enter the product idea. In this manner, you will get more queries people are searching for. These are the trends. You can also use Google Keyword Planner Tool. Evaluate your choice of product. Check the market size of the product niche you have selected. Check the competition. Are you new or is there some competition? Is the potential market growing? Or is it just a fad or trend or stable. A stable market is a safe choice to be in. Once these criteria are set, you have successfully used the Google Trends to find a product to sell online. As you can see, this has a varying trend. Along with the product popularity, google trends also gives you trends based on geographical regions. With google trends, you can also filter based on a specific country. Below is a filtering based on the United States. Along with region specifications, you can also provide the number of months you wish to pull the trend. This could be way beyond 5 years, or even you can specify a custom time range. What is incredible, is the fact that this is not just filtered over web search, but one can also see trends based on Image search, News search, Google shopping or YouTube search. Google trends, also have options to compare items. So in case you want to sell multiple items, you can very quickly do a comparison for the popularities of the item. Below we have compared Action figures, Fidget, Hasbro and Marvel series toys. Out of this, clearly, Marvel series toys stand out with a more or less consistent trend. Google trends are amazingly simple to use and a powerful way to deduce trends of your products. Besides general popularity trends, you can hack an existing marketplace to discover bestselling products. This is definitely a bit more tedious job but can provide great insights into the trending products. For a beginner, it is difficult to find out which product to sell, or if you have already made up your mind then use online tools. This way you can know and follow the influencer from the industry you have selected. Make sure you follow the correct people on social media. Influencers can be a great way to get heads up on trending products. This can be a game changer. Pay attention to influencers and thought leaders within your niche. Follow them and see what products do they support in the social media. With their large followings and social pulls they often influence the market positions of the products and can lead to high volume sales. The popular norm these days is looking for influencers on Instagram. These are often followed by store owners looking to connect with new audiences. These influencers can help you know what people like and this in turn becomes a parameter for knowing what is trending online, (what are the people liking and to what extent). In the image above, Wimbledon winner, Andy Murray is seen wearing a Rado-D-Star 200 watch which immediately gained popularity amongst his followers. One can also explore different trend publications and blogs to get an idea of what is the current market trend in your niche of products. This is a great way to also get a grasp of competitors, trends and what people like to buy the most. These blogs and publications, will not provide you a direct list of trending products, but the information-rich content can provide good insights on what is currently happening in the market and is a good way to explore trends. You can specifically find such related websites offering trends about your product niche. AliExpress offers bestselling and popular products across a wide range of categories such as fashion, toys, electronics and many more. Each category provides great insights into how the market is emerging. The best sellers list on AliExpress is offered as ‘Weekly Best Sellers’ and under category ‘Hot Sellers’ for drop shipping. 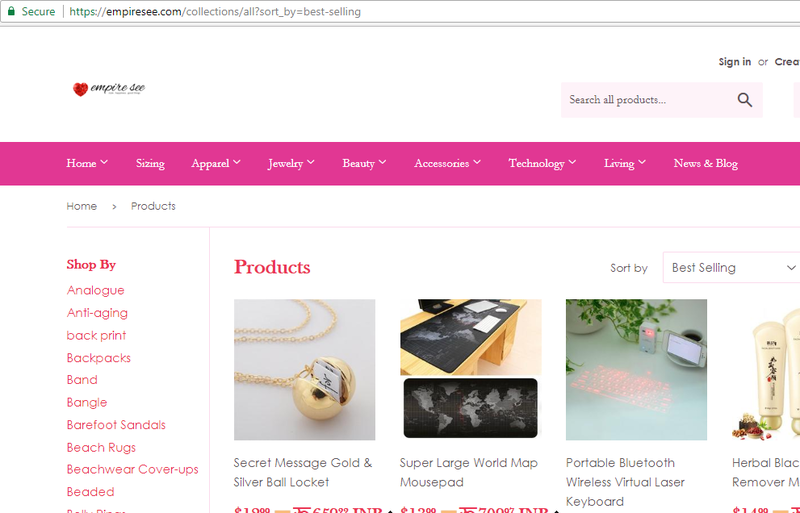 You can say that the hot sellers section is a directory of most popular products on AliExpress. As a drop shipping partner you can quickly view weekly AliExpress best selling products in this section especially for holidays and those operating in niche markets. Though these are not best sellers (weekly) on AliExpress, these are trend-based selling items. Repeat for more products, if you want. The activity can be performed for any product under any category. Some of the well-known websites such a Suzy Shier allows users to shop by category as well as by trends. 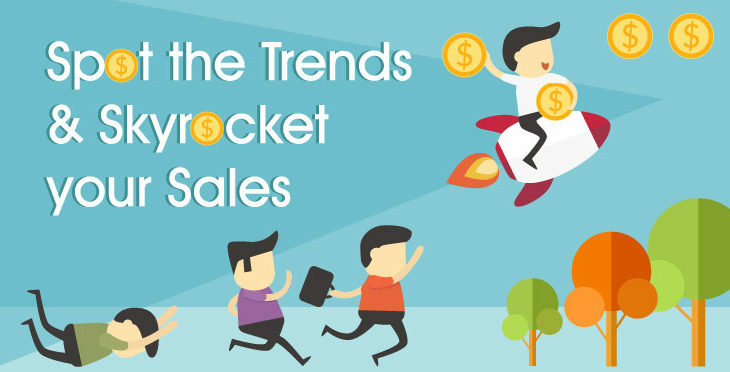 So if you happen to browse through these trends, you can get to know what products are currently trending in the market. This tool evaluates whether the product you are planning to sell, is a good proposition. You list your product ideas and answer a series of questions about the product, which helps guide whether you are selling the right product. You will receive an answer through an email. In this, you are required to evaluate your product idea against some criteria points (18 to be precise) to see if you have selected a feasible product to sell it online. These points will assist you to evaluate all the things you need to keep in check before finalizing a product. The tool has an algorithm which will then give you a definite score between the range 1-100, explaining the score. This will help you in knowing the probable advantages and disadvantages of the product chosen as well as the niche. This is free to use evaluator. While this provides a conceptual level evaluation of your store idea and product niche. It will not provide trends specific to a brand. Trending products can be easily checked on popular review blogs. These also display some of the coolest products entering the market. Popular blogs are a good source to find trending products and can help spark spinoff ideas. Do not let your research confined to these websites only. Go to other niche blogs as well. Explore them as well keeping in mind what kind of products or niche industries you are interested in. These are similar to blogs and do the heavy lifting for you, buy curating the best amongst larger marketplaces and niche. B2B marketplaces not only allow you to see the trends but also you can find the suppliers. TradeKey – Again lists different products and wholesale suppliers.It is a reliable B2B platform for commerce. The online portal has been instrumental in bridging the gap between buyers and suppliers, importers and manufacturers across 240 countries. One can check what’s happening to create a list of what’s trending. Global Sources – The first B2B platform listed in NASDAQ under a name GSOL. It was instituted in the year 2000.Shows list of products across different niche and lists down the suppliers.The quality suppliers from a variety of industries make this platform to watch out for. Just like Alibaba.com, it is a directory of manufacturers and suppliers but most of them are Chinese. The platform associates itself to the International Trade fairs. Made-in-China –The B2B portal was instituted in the year 1996. It is a popular B2B portal and the biggest in China. You can see hot items list over here and they cover almost every category of product.The enquiry system is based on one-on-one delivery mode. The foreign buyers can witness the product information as the inquiry mail is sent to their mail. It won’t be sent to any competitor. IndiaMart – The India’s biggest and largest B2B marketplace. It was founded in 1999 and the 60% of market share is the classified space in India. There are 1 million enquiries made daily.This has a separate section on trending products. Consumer marketplaces are places that sell directly to consumers. By strategically searching on their trending pages you can get a better sense of current market trends. eBay Watch – An online tool, which will list the popular items on eBay based on how many people are watching it. Amazon Best Sellers – Shows Amazon’s most popular sold products. Amazon Movers and Shakers – Amazon’s biggest gainers in sales ranked over past 24 hours. It is updated hourly. Etsy – This display a list of items which are popular currently. Storenvy – Provides trending products on Storeenvy. Amazon has its marketplace in 14 countries including Australia, Canada, France, U.S., Brazil, China, Germany, Italy, India, Japan, Netherlands, Mexico, Spain, and the U.K. Similarly, eBay has sites for 24 countries including Austria, Canada, Belgium, Germany, France, Ireland, Netherlands, Italy, Spain, Poland, Switzerland, Australia, U.K., U.S. China, Indonesia, Hong Kong, Japan, Philippines, Malaysia, Singapore, Thailand, Taiwan, and Vietnam. Social curation sites like Pinterest, can provide tons of insights about product performance. Many of the images contain new, trending consumer products. Using the inbuilt social signals, you can decipher if the product is popular enough in the market. One of the first clues to finding trends! Pinterest Popular Section – This is a fastest growing social network with more than 50 million monthly users. The popular section shows the current trends.It is one of the top social image networks in the world. Fancy – It is considered as a part-time store and magazine. However, irrespective of what it is, it is filled with product ideas to be explored. Wanelo –It stands for Want – Need – Love.It consolidates several products into one portal just like Pinterest. You can start by checking out at https://wanelo.co/top/peopl.It brings together world’s shopping with products and stores under one product posting format platform. Instagram– You can search on Instagram over a particular hashtag and following relevant people in the industry. Another option to search on Instagram is by searching applicable hashtags that insinuate buyer interest and intent like #want or #buy. Shopify (https://www.instagram.com/shopify/ ) curates interesting and unique products from Shopify’s 90000+ online stores. This might as well provide a spark for your next product.Lastly, use the save button to save the potential ideas of products you can sell online. You can always check them out later. Amazing way to see what consumers are using! You can check hot selling products through popular Shopify apps. Here you can search for popular or frequently used apps. For example, we searched on “Oberlo” which has 1917 reviews. On the display page on browsing to the bottom, you can see several reviews. Click one of the reviews. Click one of the URL of the review and add “/collections/all?sort_by=best-selling” to the URL. You will be able to see the popular products. This technique can be used on any Shopify website. To browse all Shopify website, you can use- MyIP.ms (https://myip.ms/browse/sites/World_Websites_Database_7000000). You can filter for Shopify based websites and also specific to a particular region. On search, you will be displayed a number of sites sorted on the basis of World Site popular rating. Open the first URL for instance (http://colourpop.com) and add /collections/all?sort_by=best-selling at the end of the URL. This will provide the complete popular products. This is an extremely powerful way to find trending products. BuzzSumo allows you to analyze best performing product/ category over Pinterest, Facebook, Twitter, LinkedIn along with a number of shares.This provides a trend of popularity within a product niche. You can also conduct an advanced search. After this, find an influencer who is just apt for you to share your message. Evaluate your findings. All you are required to do is type the product name or the keyword you wish to sell in the Buzzsumo search bar and it will showcase all the trending articles in the niche. Additionally, it allows you to filter by the type of content, including videos, interviews, infographics and more. You can also track the backlinks. By clicking on the link, you can see the complete product description. This has a free trial version and paid version starts at $79 per month.The same activity can be performed for any niche. Buzzsumo is just the right platform to select the correct strategy to help figure out the correct product to sell online. One of the smartest ways to find a trending product to sell products is through Shopify. Generally, you are required to do some crosschecking on some of the more successful Shopify stores that are selling successfully. Remember, the best products are going to be listed on prospering Shopify stores. The bestselling products are listed on popular ecommerce stores. 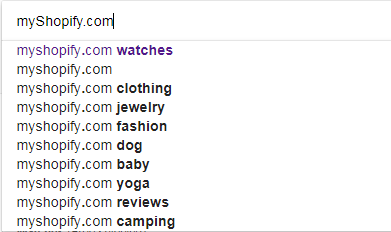 After you reach an apt Shopify store, add “/collections/all?sort_by=best-selling” at the end of the URL. This will help you get the trending products for any niche by utilizing the technique for any store you wish to create in future. To search for hot selling products you can go to google.com and type com along with your product niche. Once you search, you can click the top appearing links and add (/collections/all?sort_by=best-selling) to the link. This will help in checking the top products. Below we have added a similar search for watches. Finding products is a matter of doing research and proactively discovering trends. The online market is very vast and the time taken to research about a product can vary based on the product niche. Unless you are working ahead of the game, it would be difficult to figure out the right trend. Many times, trends are short-lived, which means you always need to be watchful and on the lookout for newer insights about the product- just to ensure you do not miss the wave. We have consolidated all of the different tips together, across various channels. Outlined are techniques to find trending products to sell online so that you do not have to worry about searching high-demand products for your online store. Build Community, Launch-ecommerce, Manage E-commerce, Promote your estore ecommerce tips, ecommerce trending, find trending products, how to find trending producs. permalink. Thank you very much, i get the information , was looking for. Very informative !! Thank you!